October 2 – 21, 2018. 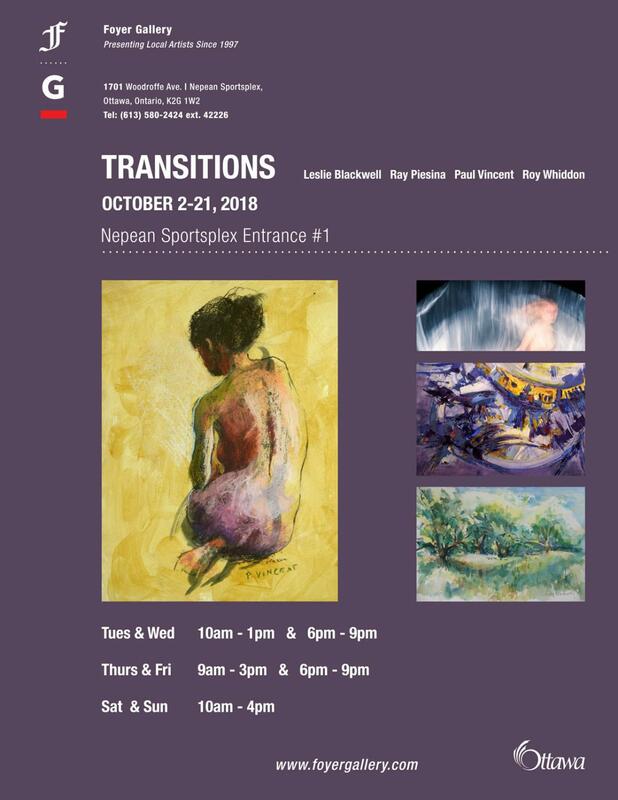 The Foyer Gallery presents “Transitions”, a group focus show featuring the works of Foyer artists Leslie Blackwell, Ray Piesina, Paul Vincent, and Roy Whiddon. The show runs between October 2nd and 21st, 2018. The slideshow below presents a few works from this show. Visit our gallery to see these great artworks by our talented group of artists!